A bill has recently been introduced in the Michigan State Senate to curtail a new element of “pay to play” politics. Michigan State Senator Cameron Brown (R-Fawn River Township, MI), has introduced a bill to prohibit candidates from paying others to endorse their candidacy. Like virtually all new restrictive pieces of pay to play legislation (especially those of dubious constitutionality), this legislation arises from recent significant media attention paid in Detroit to an alleged practice by city council candidates to pay unions, community organizations and other organizations to endorse their candidacy. 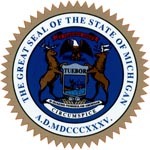 Senate Bill 984, which has been referred to the Michigan Senate Committee on Campaign and Election Oversight, provides that “A person shall not make a contribution to another person with the agreement or arrangement that the person receiving the contribution will then endorse a particular candidate”. The bill contemplates that violation of this new prohibition shall be a criminal misdemeanor. While this is surely true, one has to wonder whether criminal prohibitions on speech serve as the best means available to accomplish this worthy objective. One would assume that mere disclosure of such payments, similar to those now required of federal lobbyists through Form LD-203, combined with the desire of respected community organizations not to be revealed as up for sale, would serve to squelch such “corruption” as surely as the proposed legislation.